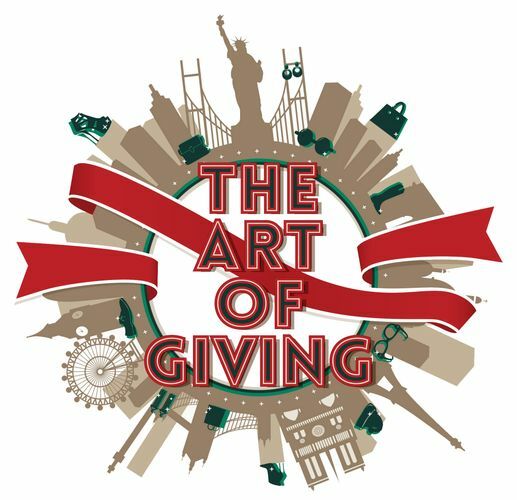 The annual 'The Art of Giving' exhibition, into its fourth year in collaboration with LASALLE College of the Arts, returns for its 10th instalment. The exhibition features 10 unique artworks conceptualised by students and alumni of the LASALLE School of Fine Arts Faculty. In this season of glamour and glitter, these artists have designed contemporary sculptures and artworks which reflect that which is beyond the obvious. Some play upon tongue-in-cheek metaphors while others tickle your curiosity – all artworks hold an element of surprise, waiting for shoppers to discover. Using basic materials, ranging from paper and ceramic to plastic, they are transformed into ingenious and exquisite works of art. Patrons of the mall are invited to vote for their favourite artwork at the exhibition or via www.scottssquareretail.com/artofgiving from now till 20 December 2015. One lucky voter will win the gift which garners the highest number of votes. In recognition of creative excellence and craftsmanship, the artist of the winning artwork will be awarded the Wheelock Art Prize of S$5,000 and the opportunity to nominate a charity to which Wheelock Properties will donate S$10,000. These one-of-a-kind artworks, which make beautiful Christmas gifts for your loved ones or even for yourself, can be purchased from the artists with proceeds going to the LASALLE College of the Arts Student Project Fund.